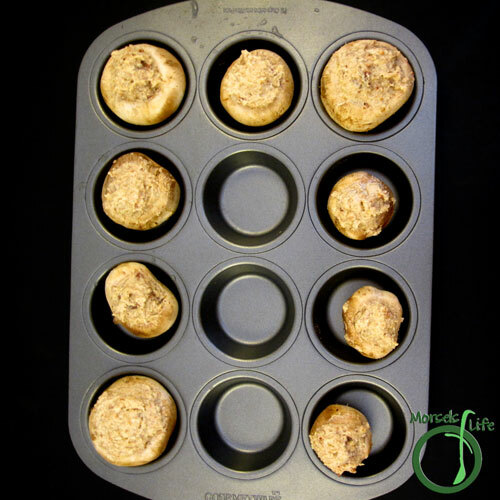 When I saw this recipe on Mountain Mama Cooks, I knew I wanted to give it a try. Fortunately, I had mushrooms and cream cheese around! I decided to make a quarter the amount Kelley did, mainly because I only had four ounces of button mushrooms. It made the perfect amount for one serving each. However, this recipe actually gets more efficient if you're making a large batch because regardless of your batch size, you only make your filling and bake once. Aside from scaling the recipe down, the only major change I made was substituting onion powder for the minced onion. She mentioned the mushrooms getting soggy because of a mushroom's high water content. 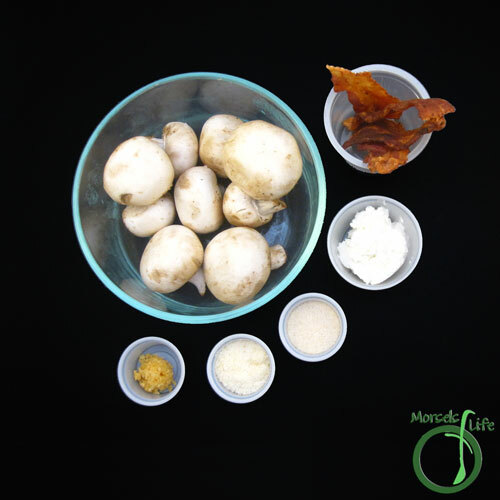 Using onion powder instead mitigates the moisture issue by both removing the moisture from fresh onion as well as having the powder soak up some moisture. 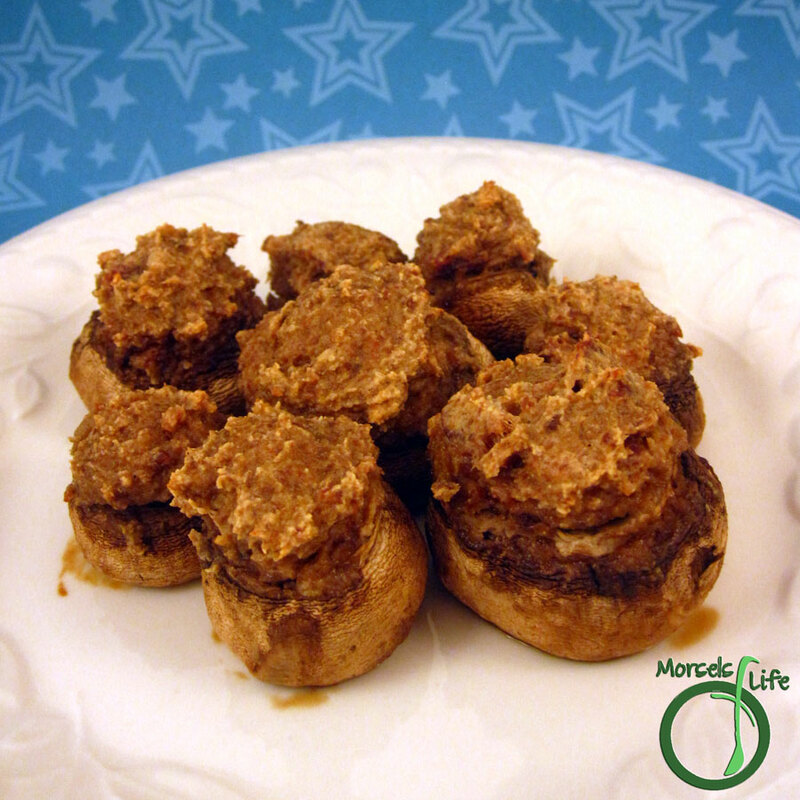 These Bacon Stuffed Mushrooms aren't too pretty, but they sure make up for it in taste! What's your favorite filling for stuffed mushrooms? 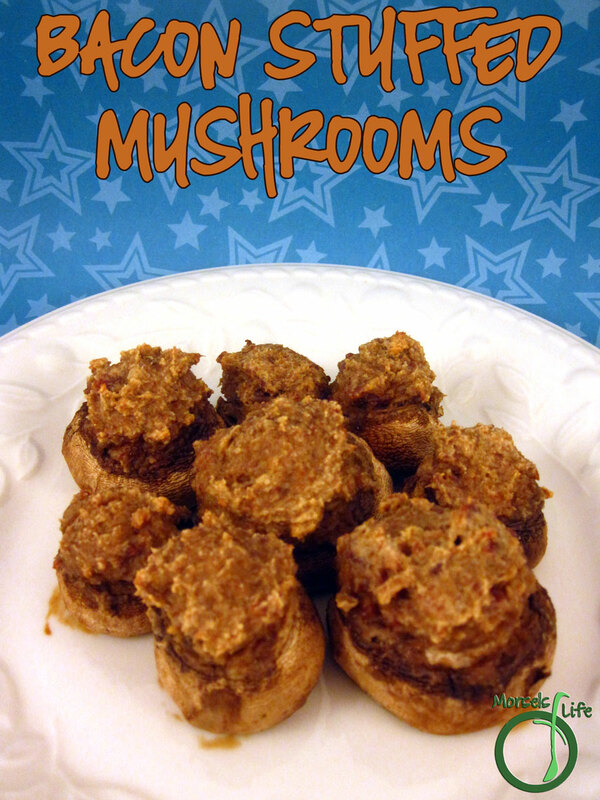 Fill some button mushrooms with a bacon and onion cream cheese mixture to make Bacon Stuffed Mushrooms. 2. Pull stems out of mushrooms. Place all materials except mushroom caps into food processor. 3. Stuff mushroom caps with mixture, then bake at 350F for 15 minutes, until mushrooms cooked and filling hot. Yum! 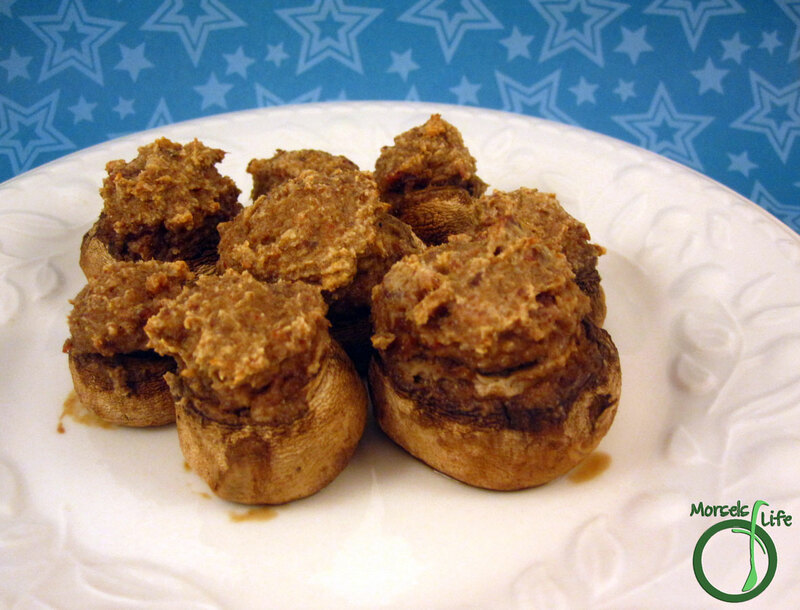 Stuffed mushrooms are one of my favorite treats. I usually use sausage instead of bacon though. I'll have to give these a try! I love mushrooms stuffed with all sorts of stuff, but they sound even better with bacon. Thanks for sharing your recipe at the Over the Moon Link Party. Isn't everything better with bacon? :) Thanks for stopping by! 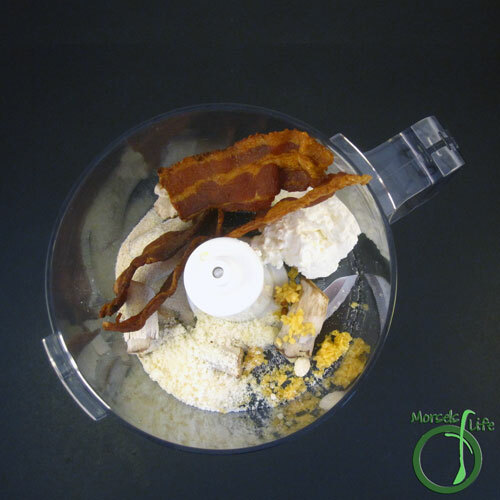 Mmmmm mushrooms and bacon, sounds so tasty, thanks for sharing this recipe! #bacononeverything! I made a chicken and mushroom dish last night which was delicious but all I could think was, "This should also have bacon in it." You did it right with these babies! Thanks for bringing this to #SaucySaturdays. Bacon stuffed mushrooms are right up my alley! They sound perfect! Thanks for sharing at Inspiration Thursday.